There’s not a lot of information we can glean from the footage, other than that Lenny and ***Season 1 finale SPOILER*** Yellow Eyed (host to the Shadow King) Oliver are still together, and it’ll be interesting to see how that role reversal plays out with Aubrey Plaza. Oh, and there’s that spaceship-ish inside of the orb that kidnapped David. but, I like what’s happening here. Can’t wait to see a full trailer. Legion returns to FX in April. 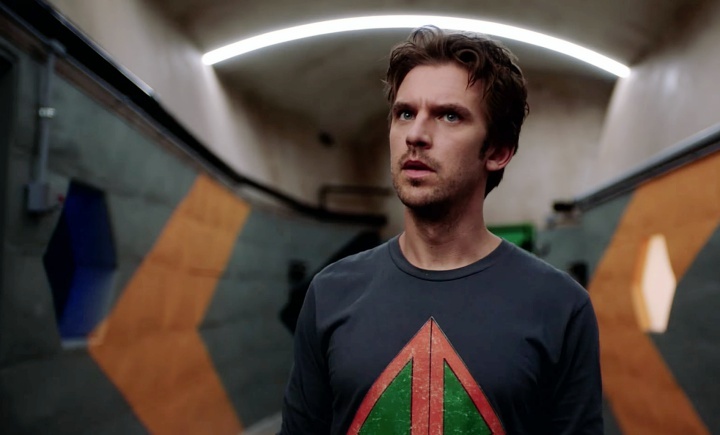 Tags: Aubrey Plaza x Jemaine ClementDan StevensDavid HallerFirst Legion Season 2 footageFXFX promoLegionLegion returns April 3rdLegion Season 2Legion Season 2 April 3Legion Season 2 promoLenny BuskerLenny x OliverOliver BirdOliver x LennyWhen does Legion return?